"Everything I do, and everything I will do, now more than ever, is to continue celebrating my island, my culture, my homeland and my music," said the singer of "Despacito"
Luis Fonsi speaks onstage during the 18th Annual Latin Grammy Awards held at MGM Grand Garden Arena on Nov. 16, 2017 in Las Vegas, Nevada. Thursday's Latin Grammy Awards were a love letter to Puerto Rico, with several artists dedicating their performances and awards to the island hard hit by Hurricane Maria. "This song is a hymn to Puerto Rico," Fonsi said backstage. "Everything I do, and everything I will do, now more than ever, is to continue celebrating my island, my culture, my homeland and my music, and to make sure the public knows that Puerto Rico needs help." Miranda, recognized for his artistic and philanthropic work with the President's Merit Award, thanked his wife, his parents, his many collaborators and his Puerto Rican roots. He said he intended to remind the U.S. government that the residents of the island territory "are human beings, too." The ceremony, held at the MGM Grand Garden Arena and broadcast live on Univision, opened with a moment of silence for Puerto Rico, followed by a performance by one of its native sons. Residente wore a T-shirt emblazoned with the Puerto Rican flag he performed his song "Hijos del Canaveral" ("Sons of Canaveral"), a tribute to his country. He also won two awards: urban album for his self-titled solo debut and urban song for "Somos Anormales" ("We Are Abnormal"). Ruben Blades won the top prize, album of the year, for "Salsa Big Band." Other winners included Shakira, for contemporary pop album, Juanes, for pop-rock album, and Vicente Garcia, who was named best new artist. Most of the night's awards were presented during a pre-telecast ceremony, while the live broadcast was dominated by performances, including Natalia Lafourcade, Maluma, Juanes, J Balvin, Lila Downs, CNCO, Mon Laferte, Nicky Jam and Carlos Vives. 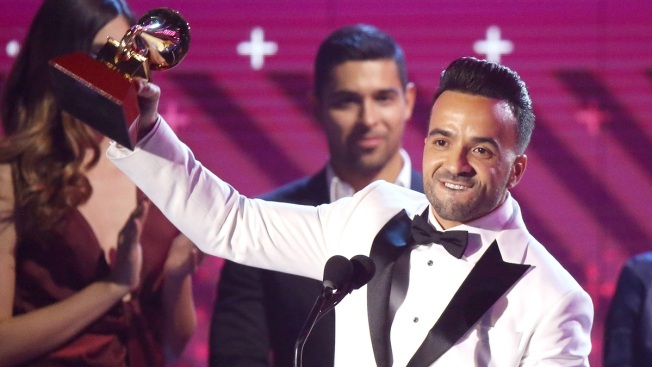 Besides Puerto Rico, the Latin Grammys also had a political element. Multiple nominee Danay Suarez spoke about sexual harassment. Presenter Wilmer Valderrama urged viewers to "make history in the next three years." 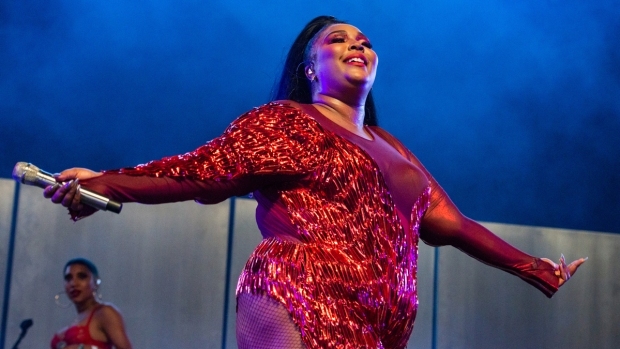 Other artists noted that music has no borders and no walls. Alejandro Sanz, who received a special award, used his time onstage to call attention to the "dreamers" affected by President Donald Trump's suspension of the Deferred Action for Childhood Arrivals program. As the Latin Recording Academy's 2017 Person of the Year, Sanz was feted during a starry gala earlier this week. On Thursday, he performed a medley of his hits, closing with a group of young people onstage wearing T-shirts that read, "We have one dream." Sanz said backstage he was incredulous that such a decision could be made "in this century, in this country" with apparent disregard for the people it would impact. "This is their country, in the end," he said. "These are the kids who will have the courage to say a border is not going to stop me. That's why I say that for every stone that's placed or every wall that's built, there will always be a call behind it to take it down."